The face plate detaches and you can carry it with you.View larger Zero Current Draw Memory A lot of us have had the battery of our cars die at one point or another. Sometimes we might just need to replace it. This can mess with all the systems that depend on being hooked up to a power source in order to be able to maintain some saved data. In this case, the BV622UA. 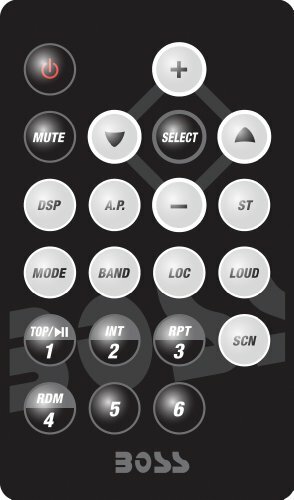 It holds information such as the time/date, presets for your favorite radio stations and such. If you ever happen to be without a battery for a short period of time, you will not lose all of this information and have to save them again. All thanks to this little helper. Playback MP3 What Comes with My 622UA? Remote ControlInstruction ManualWire Harness View larger Compatible With Audio Output of iPod / iPhone, Smartphones and MP3 Players You can connect a device that has an Auxiliary output, such as your iPhone/iPod, smartphone, or MP3 player, straight into the Auxiliary input of your head unit. So basically a cable that has (2) 3.5mm audio (male) plugs. Important: Please beware that this feature is not the same as the “Full iPod Control." This feature will only allow you to control your music by clicking on the designated buttons via the face or front side of your unit. View larger Front AUX (Auxiliary) In This input in the front of the 622UA that says “AUX” is an interface that allows the input of audio signals for MP3 players, headphones, and portable music players. It is for AUDIO ONLY and not video. View larger USB And SD Card Ports The USB and SD memory ports are both located in front of the 622UA receiver for easy and quick access. Switchable US & Europe Tuner Frequencies The 622UA will not only be able to pick up U.S. frequencies but it will also have the capability to pick up European frequencies. View larger RCA Outputs and Wire Harness View larger Output Power: 50 Watts x 4 Channels The 622UA offers 4 channels that can be used to hook up 4 speakers. Typically though, it is a much better practice to have an amplifier running your system.